This will be my first Father’s Day without a father. As I sat down to write this post, I really had no idea what I was going to say, much less how to say it. I felt at a loss for words. What was I supposed to write about as this day, my first Father’s Day without a father approached? What could I possibly say to help someone else who is missing her/his dad not just today, but every day? At first I wasn’t going to even attempt a Father’s Day post at all. Not this year. It felt too hard. Undoable even. At the same time, I had to write one. How could I not acknowledge this day, this year, this loss, this grief? Grief is hard. Writing is hard. So it only makes sense that writing about grief is hard, too. Yes, Father’s Day this year will be hard, but then again, it won’t be, or rather it won’t be much harder than the Saturday before it or the Monday that comes after it. In a way, every day is Father’s Day now, a day to remember the dad I had and the dad I now miss. 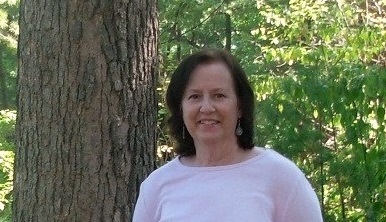 When you’re limping along through grief, there aren’t necessarily stand-out days of grief, at least not so much for me. More often, it’s the ordinary moments and days that are hardest. It’s the little things, the big things and the in-between things. It’s all of it. 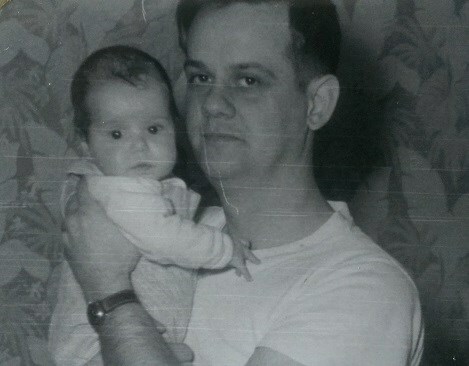 Sometimes I think it would be easier to not have had such a wonderful dad for as many years as I did. Sometimes I think fewer memories would make grieving easier now. When I start having thoughts like this, the next one that generally follows is something like, Nancy what a completely ridiculous thing to think, much less say or write. My dad died early in the morning on a stormy Saturday in late July. (He was alone, a fact that saddens me, though I’m pretty sure it was what he preferred. At some point, I will share about that). Now any rainy Saturday morning is, in a sense, a grief anniversary. A reminder. In fact, any ordinary happening on any ordinary day often is as well. Every memory about my dad is a reminder. Every reminder brings with it another visit to loss and pain. But every reminder is also a visit to love. And love is always worth the pain that often comes with it. This Father’s Day, I will remember my dad, but I do that every single day on the calendar. As others have said, grief is the calendar. You might think this is a very sad thing to say, and in a way, I suppose it is. But not to me. For me, this truth is lovely and comforting, because tremendous grief means there was also tremendous love. If you are missing your father (or someone else) this Father’s Day, whether it’s your first Father’s Day without him or your umpteenth, please know you are not alone. And perhaps more importantly, when you are missing your dear one on the Monday after, or on any ordinary moment on any day of the week for some mundane reason, you’re not alone then either. I hope knowing this helps you just a bit. Grief is part of what unites us all. And love. Grief and love. Happy Father’s Day to all the dads and all the men, dads or not, who love and nurture children. Tell us something about your dad. What is one grief reminder (for any dear one you miss) for you? Do you miss someone this Father’s Day and every day? This will be my first Father’s Day without my father. It is also the last time I saw him. I went up to visit for 5 days between Father’s day and his birthday (July 7). So this time, this year, is a bit harder than in the past. I hate the made up holidays – and this only makes it a little more difficult. Throw in three years since diagnosis all in the same two week period and I turn into a bit of an emotion wreck. Becky, Gosh, this is an emotional time for you. Keeping you in my thoughts. Thank you for sharing. 19 years this weekend, my children’s father died of anaplastic astrocytoma. I miss him for everything. I am a reminder to my children of who isn’t here. They have been lovely daughters in their efforts to add something to my life knowing I am the one who bears the greatest burden in my aloneness. My sympathy goes out to all who are missing the guys of their lives. Lin, I am very sorry you’ve had so much loss and heartache to deal with and for so long. Thank you for sharing about it with us. So much connects us all. Love to you. Myra, I am sorry and yes, your loss is very fresh. Getting through all those firsts is indeed challenging. Of course, the grief continues forever, but so does the love. That’s what helps me. Thank you for sharing about your heartache. I have been fortunate to have 2 amazing dads! Oddly enough they both shared the same birthday though my Bio dad was 4 years older. He sure loved the ladies and they loved him too. I adored my father he had such a sense of humour always smiling joking… He was diagnosed with Prostrate Cancer However his death was because of multiple mini strokes and dementia. He would just sit by the window looking out. I often wondered what he saw through his mind.I also have my step-dad If you ever wished for a sweeter kinder man who was a bachelor married a woman with 4 children one being a terminal brat fighting against him trying my best to alienate him.. It didn’t work eventually I gave in and have loved him ever since. He too is suffering from dementia though he can and does have some memory recall.. He loved my mother fiercely…I am so damn lucky I had 2 fathers who loved me and I them…..
Alli, Thank you for sharing about your two amazing dads. I only saw my biological father once and it was my choice. 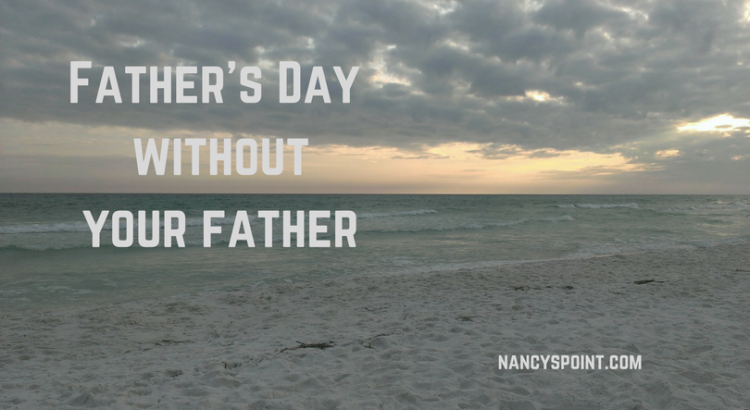 I was not fortunate to have a father, although my grandfather played that role, a part of me still felt empty. I am at peace with this though. My grandfather was a quiet man and very hard working. But my grandma was everything to me, as you know. So if there’s someone I always miss it is her. This is my hardest grief. As you said, tremendous grief means there was also tremendous love. My father died in January 1991, so it’s been a long time. After many years, I adapted and came to a place of acceptance, but the love never dies. My memory of his funeral was of snow falling on his casket as it was lowered into the ground (in Philly). I could never rid my mind of that memory, but fortunately there isn’t snow where I’ve lived in CA and now HI so that memory doesn’t get triggered. Nancy, thank you for giving me a chance to write about my dad. I still love him like it was yesterday. I’m sorry for your loss. I know how hard Father’s Day can be. Peace and love to you. Eileen, Thank you for sharing about your father. That is a rather haunting memory, but it’s also beautiful in some ways. We’ll both be missing our dads this Father’s Day and every day. Peace and love to you as well. Teresa, You are so right, but for me, it’s the ordinary days, moments and reminders that are hardest. Thank you for your kind words. It does help knowing others understand. I’m sorry I’ve been away from the blogosphere for such a long time. Anyway, the first place I went was to your blog. I’m so saddened by the loss of your father, and grief is, of course, normal. Grief and love: they are intertwined. 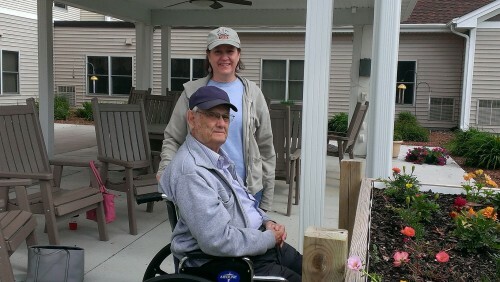 My dad is alive, but as you know, he has dementia and is in a home for dementia patients. He still knows who we are, but I’ve been grieving for a few years now because he is no longer the person who was my dad. I don’t even know him anymore. My dad is gone….in a different sense. Thank you for sharing your grief so openly, with all its rawness, with us. I lost my dad, a year and a half ago. It was (and still is) hard. I never met him. I am 18 now. He died when I turned 17. I felt abandoned, like, I was going to meet him when I turned 18. How could he do that? They said he drowned while he was drinking. But it wasn’t suicide. I didn’t know how to cope with it. Plus, on the day of his funeral after they found his body two weeks later, I met my brother (age:8) and my sister (age:15). It was so shocking to see that we all look like him. I didn’t know how to deal with that either, so I turned to alcohol and drugs, I told myself that if I did that, I’d somehow feel closer to him like that, what I didn’t realize was that I hurt everyone around me. With my smoking and drugs and alcohol. I saw my life cracking and falling down around me. So, I quit the drugs and alcohol, but not the smoking, I’m still working on that. So, next week, I am going to a Grief and Abandonment treatment centre to get some help. For myself and everyone around me. Brittany, I am sorry you didn’t get that chance to meet your dad. It will always be hard. It’s like you lost him twice. By that I mean, you were so looking forward to meeting him when you turned 18, and then that was taken from you too. I am glad to hear you quit the drugs and alcohol. They likely only masked your pain for a bit. Good for you for taking those difficult steps to recover. Great idea to go to a grief and abandonment treatment center for help. That is a big step and I hope that experience offers you some helpful guidance and support. You’ve been through a lot. Take care of yourself and thank you for sharing.